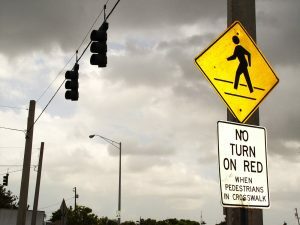 Mayhem among motorists in Miami-Dade and Broward Counties can result in accidents regardless of how much caution pedestrians apply when crossing or walking down the street. Perazzo Law believes that many Miami pedestrians accidents are caused by bad motorists and negligent cell phone use while behind the wheel. Furthermore, drivers regularly take to the streets while under the influence, drive at high speeds, and disobey basic traffic laws in Miami. When these factors combine with outdated urban planning; an ever growing number of vehicles of all types, and drivers of all ages, the results can be devastating to pedestrians by making accidents inevitable. It’s no secret that many Miami motorists drive in haste through city streets and avenues, with little regard for the safety of pedestrians. 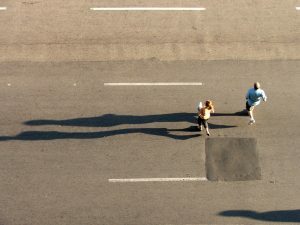 Perazzo Law advises pedestrians in cities such as Miami, Coral Gables or Biscayne Bay to exercise caution when crossing at intersections, approaching driveways, and to avoid jaywalking. Furthermore, Miami pedestrians should be extra careful when walking in poorly lit areas, especially if wearing dark clothes after dusk. If you, a friend or relative has been hurt in a pedestrian accident or if someone you know has suffered wrongful death after being struck by a motor vehicle, contact Perazzo Law ONLINE for a free consultation.